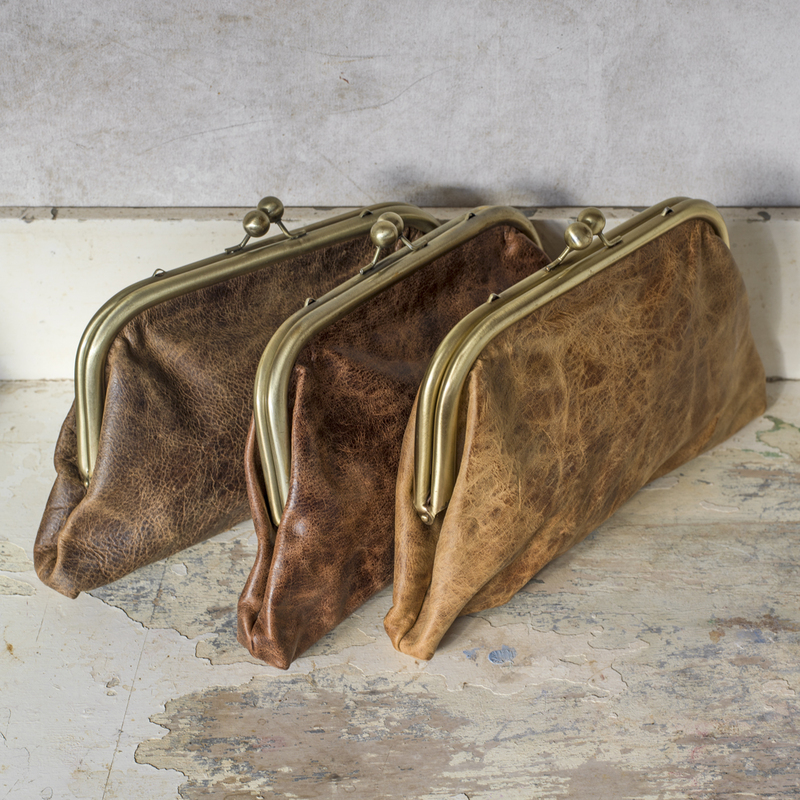 Large, soft leather clutch bag with a vintage style clip opening. Satin lined. In Dark chocolate, Distressed Dark Brown, Distressed Mid Brown, Distressed Tan.